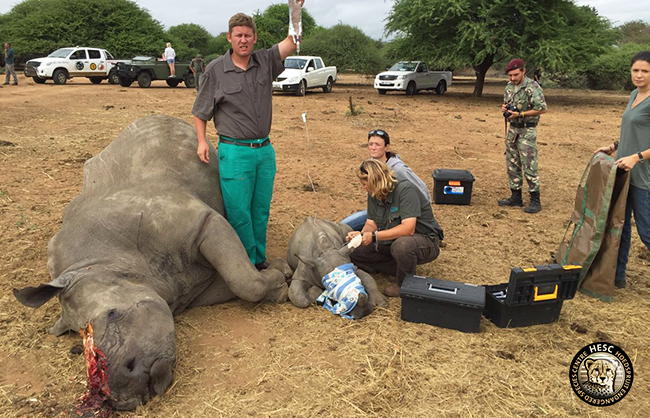 On the 24th April 2016, we were asked for assistance with a female rhino calf, who had been found next to her mother’s dead body. The baby rhino had been witness to the savage killing of her mother, and left to fend for herself. 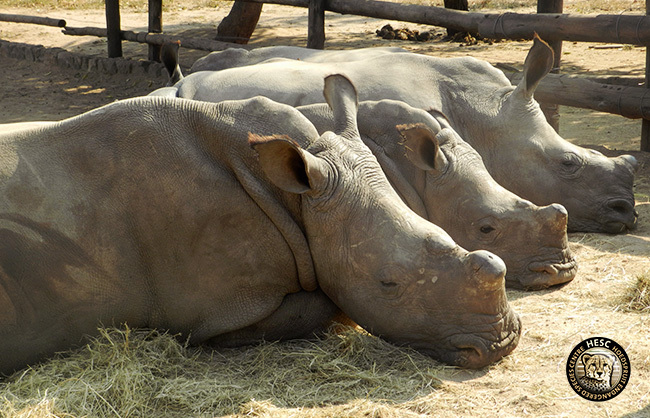 The heartless actions of rhino poachers had struck yet again. 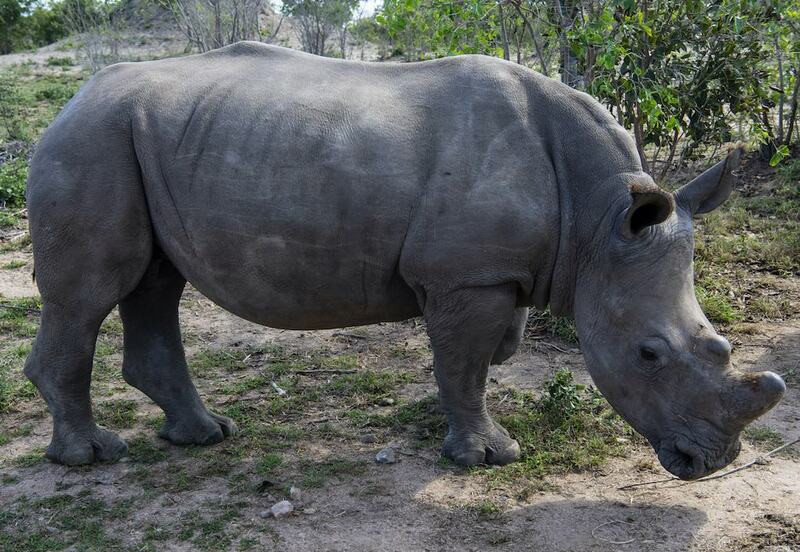 She weighed 141Kg’s and she was between 2 – 3 months old. It was no surprise that she was incredibly traumatised, and could not settle down. 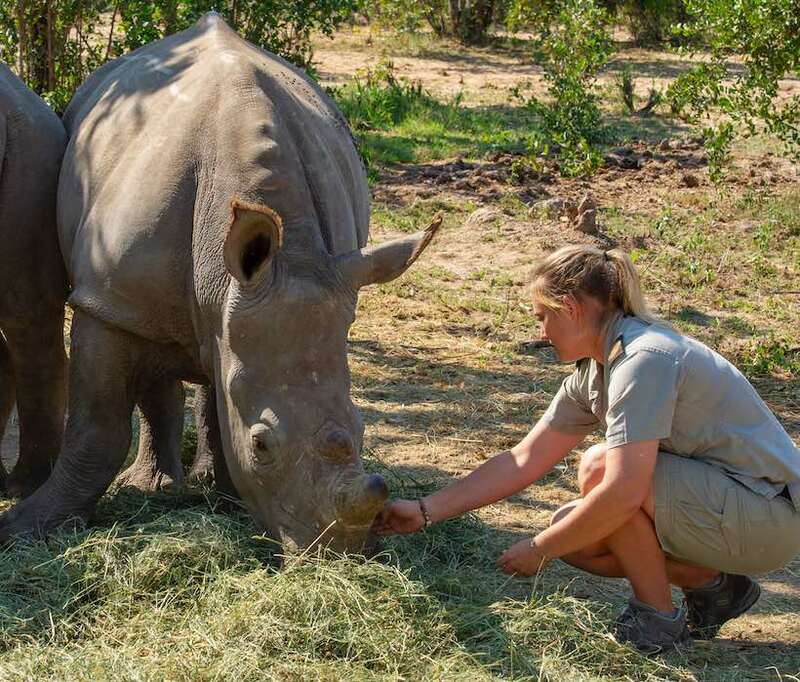 It was not until the next day that she accepted some milk from Linri, our head curator, who never left her side. 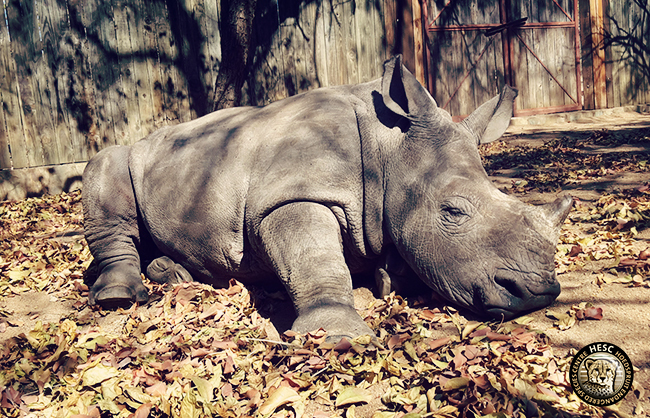 Orphaned rhino Olivia, lay next to her mother’s butchered body. Just eleven days prior to this, Baby N had arrived, and not long after that, Khulula arrived, so it was a busy time for us at HESC. 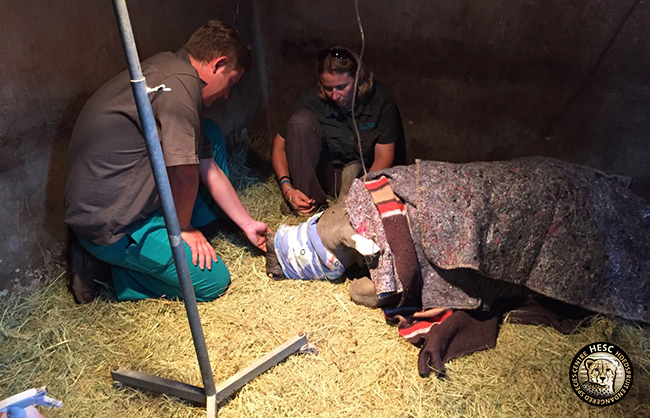 Our staff and veterinary team were nothing short of amazing. We are still so grateful for the endless hours of work they all put in, through these tough times. Olivia soon adapted very well, and gained weight quickly. Her nature soon shone through, and she stole so many people’s hearts. She is very affectionate, and loves attention. Her favourite things were a good belly rub and eating. She would often choose eating over playing, and has been known to fall asleep midway, whilst at it! As ladylike as she was whilst awake, she could not stop herself snoring whilst she was asleep, it was so cute to watch. Olivia loves eating, and napping! Olivia now shares land with Stompie, Balu, Nhlanhla, Khulula and Lula, and that arrangement has been working out very well so far. Olivia is thriving in her new surroundings, and loving her friends. She is a very content rhino. One would never thing she hold’s such a dark beginning to her life. It gives us great comfort to see her so happy. Thank you to everyone that supported her journey at HESC. Please, do keep on supporting where you can, as we need all the help we can get to keep funds coming in to cover their daily feeding/veterinary and general care costs, as well as their security, which is most important. If you would like to Donate, please click HERE. Thank you so much for your great kindness and tireless work ….may all beings have peace and all slaughter end! Thank you Trish, that would be a utopia, for sure. If only it was possible!